Are Companies Responsible for Pollution by Corporate Predecessors? One of the arguments posed by the defense in the Woburn Toxic Trial was whether Beatrice Foods, Inc. and W.R. Grace & Co. were liable for environmental damages, when the Aberjona River valley was historically home to industries known for their negative environmental impacts. The defendants also questioned being singled out by the plaintiffs because of their "deep pockets", while other industries near municipal wells G and H that were less able to pay damages were not included in the complaint. Woburn was one of the first heavy manufacturing areas in the nascent United States. Shortly after the completion of the Merrimack Canal connecting the town with Boston, leather processing became a core business of the Woburn area (Tarr, 1987 (Acrobat (PDF) 3.5MB Jun18 09)). By the mid 1800s Woburn was one of the leading leather producing centers in the country. For more details, see Leather Tanning under Key Issues in the Trial. As the leather industry expanded, production of the specialty chemicals needed by leather manufacturers concentrated in the Woburn area. 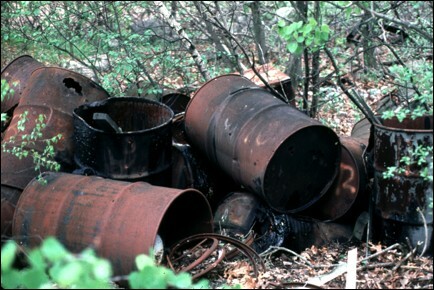 By World War I, Woburn had a significant chemical industry located north of town in the Aberjona River valley. The industry, which began to support leather processing, soon began manufacturing stock chemicals and finished products such as pesticides, fertilizers, and plastics. A history of the Woburn chemical industry can be found at Chemical Companies in Woburn under Key Issues in the Trial. "Making companies pay" was a rallying cry from the plaintiffs' attorneys during the Woburn Toxic Trial. This mantra implied that Beatrice Foods and W.R. Grace, and by analogy any large corporation, who should be accountable for the environmental damage they created. 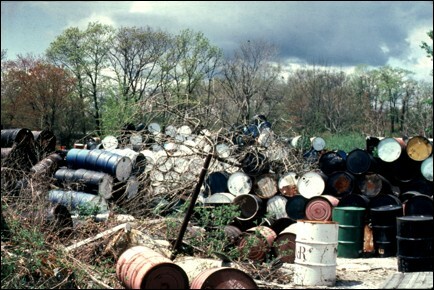 At that time, following on the heels of the environmental damages at Love Canal, New York, and Times Beach, Missouri, there was overwhelming public sentiment agreeing that corporations must be responsible for their impacts to the environment. The defense demonstrated how widespread industrial contamination was in the Aberjona River watershed. From this perspective, the defense questioned why they should be responsible for what was considered normal prior to enactment of Resource Conservation and Recovery Act. The verdict in the Woburn Toxic Trial demonstrates the difficulty in connecting the practices of Beatrice Foods and W.R. Grace to the health problems of Woburn's citizens. Questioning the corporate responsibility companies operating facilities at the source locations of the TCE and PCE contamination can be used as an argument during a mock trial. A consideration would be focusing on the short time that Beatrice actually owned by Riley Tannery, and Beatrice's responsibility for the overall contamination on the Riley property (i.e. is it fair to a new corporate owner to absorb such a cost when its contribution may have been minimal).